A beautiful smile can change everything, your confidence, your looks, your life! If you are not happy with your smile today, read below what Invisalign can do for you! Thanks to a new technology near-invisible braces, so called Aligners, can be custom made to each individual. This will solve a number of problems, from minor adjustments to more complex cases. The best part of it is that it will not have any impact on your daily life. By using a series of custom made, removable and almost invisible Invisalign braces, so called Aligners over a period of time, your teeth will be gradually corrected. 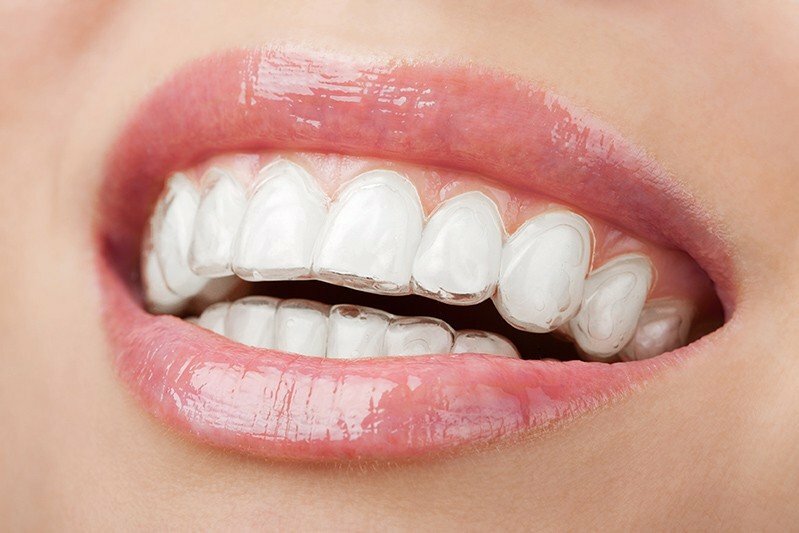 Each set of Aligner braces shall be worn for 2-3 weeks. Then a new set shall be worn. With each set the teeth will be partly corrected. When following the instructions, week by week, step by step, the final desired result will be achieved. The number of required Invisalign braces and the treatment period will depend on the complexity of the case. Comfortable – There is no need for metal wires or brackets, which may irritate the mouth and gums. The Aligner sets are custom made for your teeth and are comfortable to wear. You may sense a small discomfort when beginning with a new set, which is a proof of that the moving of the teeth has begun, and the feeling will quickly disappear. Removable – The Aligner set may be removed before eating and when doing your daily oral cleaning and on special occasions. 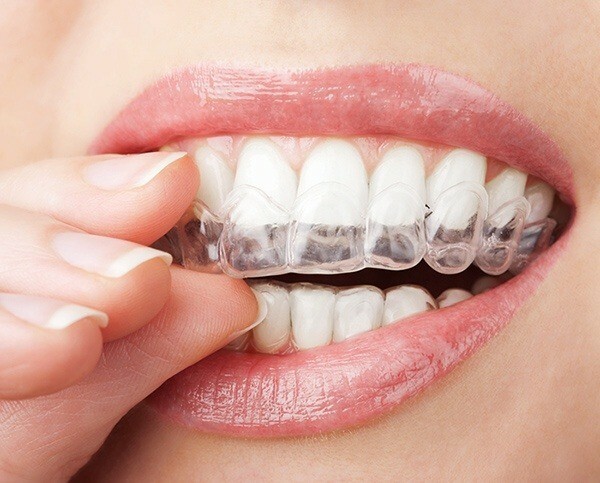 Almost invisible – The Invisalign Aligners are almost transparent. They can be easily integrated into your own daily life. Nobody will notice that your teeth are being treated with the Invisalign method. How is the complete procedure? First you will book an appointment with one of our Invisalign certified experts, to get information and to learn how your own specific Invisalign treatment will be made. The next step will be that photos and impressions will be taken of your teeth. The photos and the impressions will be sent to a specialized laboratory in the USA. After about two weeks you need to book a new appointment with your Invisalign specialist. At this appointment your treatment plan will be presented in a virtual 3-D Program. The Program will show you the planned final result and state an approximate time for the treatment. Another two weeks later you will receive your first two sets of Aligners. You will insert the first set at the clinic to start using directly and bring the second home to start using two weeks later. After a month, when both sets have been worn for each two weeks, you need to book an appointment with your Specialist, to get a new set of Aligners. With these monthly clinic controls, the treatment will proceed, until the desired end result has been met. Convenient, clear and removable – Learn, why 4 Mio people around the world have been treated with the Invisalign method! Are you ready for your new smile? Book an appointment with us.